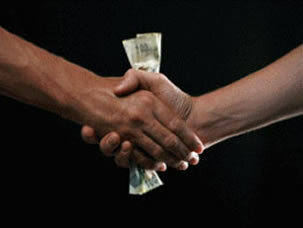 Many African countries are accustomed to illicit second tier taxation, also known as bribery. This begins at the grass roots level and permeates to the upper echelons of government. Simba Logistics has a strict anti-bribery policy and strives to ensure that this transgression does not permeate through its organization. In many ways, a lot of such transactions happen due to failure to comply with licensing or safety procedures en route to the destination. Simba Logistics strives to make sure that all of it's vehicles are in compliance with the local authorities to ensure that there are no "special handshakes" taking place. To report of any staff of Simba Logistics partaking in such a transaction, please email us on info@simba-logistics.com. We will protect your identity at all costs.